A medicinal plant frequently used in Traditional Chinese Medicine (TCM) – Evodia rutaecarpa – contains substances that can cause cardiac arrhythmia. This is what researchers from the Universities of Basel, Vienna and Utrecht have recently found out. Extracts of the plant Evodia rutaecarpa are used in Traditional Chinese Medicine for a variety of symptoms, such as headaches, nausea and vomiting as well as menstrual complaints and ulcers in the mouth area. Researchers led by Professor Matthias Hamburger from the Department of Pharmaceutical Sciences at the University of Basel investigated the effect of Evodia extracts in collaboration with pharmacologists and toxicologists from the University of Vienna. The natural substances dehydroevodiamine (DHE) and hortiamine isolated from the plant in Basel proved to be very potent inhibitors of potassium channels in the heart muscle. If these channels are blocked, the excitation processes in the heart muscle change, which can trigger severe heart rhythm disturbances – so-called Torsade de pointes (TdP) – and ventricular fibrillation and lead to sudden cardiac death. The development of severe TdP arrhythmias following the administration of DHE was confirmed by researchers at the University of Utrecht in ECG studies on dogs, a model that is also used to test drug safety in the industry. Further investigations showed that the two natural substances cause oscillations in the heart muscle cells even in very low concentrations, which can cause cardiac arrhythmia. For instance, these substances can get into a tea made from Evodia fruits. For drugs that may potentially trigger cardiac arrhythmias, it is typically required that a cardiac examination using ECG is carried out before medication. This is especially true for heart disease patients for their risk to be assessed. To date, no clinical studies have been conducted to investigate the incidence of cardiac arrhythmias after taking Evodia preparations. Studies at the University of Basel have also shown that the DHE content of Evodia fruits is considerable. Hamburger currently investigates the extent to which these substances find their way into tea preparations. "If DHE and hortiamine are detected, the safety of Evodia products has to be re-evaluated," says Hamburger. TCM medicinal plants and products reach the European market relatively uncontrolled, and they can also be purchased on the internet. The authors of the study, therefore, call for increased vigilance regarding possible toxic effects of Evodia preparations. 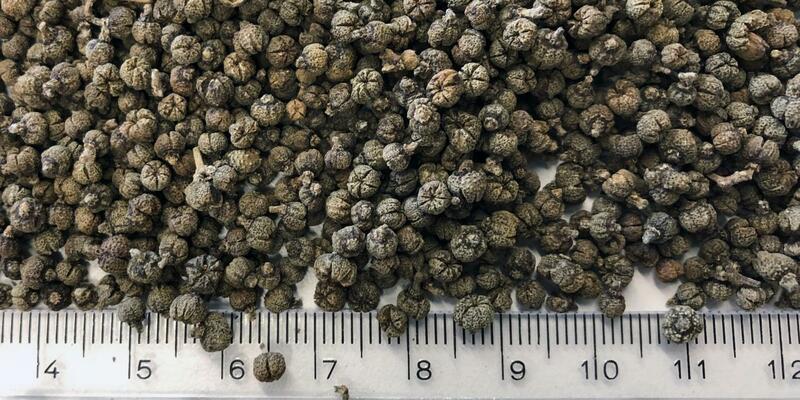 "The popularization of medicinal plants from other cultures entails risks. These plants can contain highly active substances with side effects, as in the case of Evodia. A closer examination of such risks is therefore indispensable to protect the population," says Hamburger.